Dr. Kahn oversees the clinical operations at Syntrix and has led all company trials to success. When Dr. Kahn first joined Syntrix he organized the company’s clinical team to enable clinical product development. The clinical team includes members who perform protocol development, data management, statistical support, site and subject recruitment, clinical site monitoring, quality assurance, clinical report writing, IRB submissions, and support of FDA submissions. The clinical operations team is now advancing clinical programs for the treatment of chronic inflammation and pain. The chronic inflammation program is engaged in running or planning phase 1, phase 2, and phase 3 clinical trials. The pain program is initiating early phase clinical trials. Under Dr. Kahn’s guidance the clinical trial team has obtained funding for the clinical trial operations from the US National Institutes of Health and private investors. 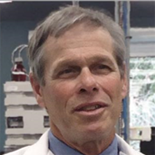 Dr. Kahn has authored 35 peer-reviewed scientific articles, and has served as an invited reviewer for several NIH study sections, other funding agencies, and numerous scientific journals that span his expertise in chronic inflammation and drug development. Dr. Kahn is the recipient of several scientific awards including a Burroughs Welcome New Investigator Award. Prior to joining Syntrix Dr. Kahn contributed fundamental insights into the relationship of microbial pathogens and the pathogenesis of chronic inflammatory disease.